What caused the civil war? What part did Cromwell play in causing the war? The hunt for the origins of the civil war which broke out in summer 1642 and which not only bitterly divided England and Wales but also involved Scotland and Ireland has generated an enormous amount of research, writing and controversy. Although it is one of the most intensely and actively researched issues in English and British history, it remains unresolved and continues to divide historians. From time to time, one particular line of explanation has been dominant for a few years or decades and has been supported by the majority of historians then active, but there has never been complete unanimity and temporarily fashionable explanations have always been challenged after a time and the incomplete consensus supporting any one line has repeatedly broken down. We are currently in a state of flux and at the start of the twenty-first century no single explanation or line of interpretation dominates the field or has won a broad consensus of support. Contemporaries were themselves unsure what had caused the war. The parliamentarian Bulstrode Whitelocke was able to discern no clear cause, explaining the outbreak of hostilities as the result of ‘one unexpected accident after another’ which had caused the nation ‘insensibly’ to slide into war. When contemporaries attempted more sophisticated analysis of the causes of the civil war, they came up with very different conclusions. While the royalist politician Edward Hyde, later the Earl of Clarendon, felt that war had resulted from political errors and blunders made by both sides in the years immediately preceding the outbreak of the civil war, the political philosopher James Harrington felt that it was caused by long term social and economic changes which had been underway since the sixteenth century or before. Historians have always adopted and continue to adopt very different approaches to the causes and origins of the civil war. Some, like Harrington, have continued to look to long-term problems, issues or developments, dating back to the early Tudor or even the late medieval period, while others, like Hyde, have argued that state and society were sound until the early seventeenth century or beyond and that the causes of the war were very short-term, emerging only in the 1620s or the 1630s. 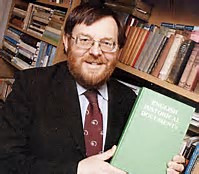 Many of the so-called revisionists, who dominated the field for parts of the 1970s and 1980s, took this second line, attempting to discredit older explanations which rested on long-term causes and instead tending to stress shorter-term issues, problems which came to prominence only after 1625. More recently, anti- or post-revisionists have criticised this approach, arguing that the revisionists went too far in focusing on short-term issues and in underplaying or ignoring evidence of medium- and long-term problems. Some historians, following in Harrington’s footsteps, have continued to see the war as caused by long-term social and economic developments and problems. This approach (and responses to it) dominated the field in the middle decades of the twentieth century, when many Marxist and non-Marxist historians alike saw the civil war as a class war, caused by tensions between rising middle classes and a declining aristocracy (and crown). Although later work threw considerable doubt on this approach by apparently demonstrating that England and Wales did not divide on clear class lines in 1642, some historians still broadly hold to significant elements of this interpretation, and many others see increasing social and economic tensions in the century 1540-1640, caused by a doubling of the English and Welsh population over that period, as contributing to a greater or lesser extent to the collapse into civil war. For much of the Victorian and Edwardian period, the so-called Whig interpretation dominated the field. This tended to stress two elements, both of them long-term problems festering away at the heart of the English state. One was mainly secular, namely a growing power-struggle between on the one hand parliament in general and the House of Commons in particular, anxious to gain a greater role in government and to win power to enable it to protect and promote the rights and liberties of the people, and on the other hand the crown, which sought to retain powers and prerogatives itself. The second was mainly religious, namely a growing power struggle between on the one hand a vociferous band or party of Godly puritans, who wanted the process of Protestant Reformation to go much further and who were dissatisfied with the existing state church, and on the other hand the crown and upper echelons of the Church of England, who supported the status quo or who were reluctant to push ahead with further Reformation anywhere near as far or as fast as the puritans wanted. Both problems, these historians argued, were apparent by the reign of Elizabeth I, if not before, and they worsened during the first half of the seventeenth century through continuous or intermittent sniping and through occasional political, religious and constitutional crises and confrontations. At length, these long-term and worsening problems led to an unbridgeable divide and to civil war. This approach, largely ignored or dismissed as irrelevant or secondary by Marxist socio-economic interpretations, was confronted head-on in the 1970s and 1980s by the revisionists, with their stress on shorter-term issues and their arguments that there were few if any longer-term problems within the English state, that down to the 1620s or 1630s the political, constitutional and religious elements of the state were working well, with an emphasis on harmony, consensus and co-operation. In recent years, the swing against this revisionist line has seen more historians returning to some elements of an interpretation which sees the civil war resulting from longer-term political, constitutional or religious problems and divisions. Many, though certainly not all, historians currently working on the causes of the civil war point to a number of short-, medium- and in some cases long-term issues and problems within the English and Welsh state which may have contributed to the outbreak of the civil war. These include unease about and within the state church, the Church of England, concerning how far it should move along the Protestant road, whether further reformation was necessary or desirable and, if so, what it should entail; the strains and weaknesses caused by an increasingly outdated and inadequate fiscal system, with the crown struggling to run the country in peacetime, let alone during times of war (whose costs and complexity were escalating), out of the meagre resources provided by a financial system which had changed little since the late medieval period; and clear signs of growing conflict at the centre, between crown and parliament, with sometimes serious disagreements over foreign and domestic policies, including finance and religion, and perhaps too over matters of broader principle or ideology, with divergent ideas about the roles of, and the relationship between, the monarch and his parliaments. Many historians who look to political, constitutional and religious factors of this sort also stress how potential problems were exacerbated after 1625 by the new king. In contrast to his father’s deft handling of many of these issues, they argue, Charles I proved inept, inadequate, headstrong, stubborn and stupid, needlessly kicking awake the dogs which James I had lulled to sleep. Charles’s handling of parliament, of domestic and foreign affairs, of fiscal and religious policies, proved to be disastrous, and his personal approach to government contributed greatly to a breakdown in trust and to the outbreak of civil war. From the nineteenth century onwards, most historians have taken a top-down approach to analysing the causes of the war, looking at the role and motivation of the leading political and social players in the conflict and in many cases focusing on the world of Whitehall and Westminster, on developments in central government and administration. However, over the last few decades some historians have taken a bottom-up approach, exploring how and why the nation as a whole or particular geographical parts of it divided in the early 1640s, assessing the factors which influenced provincial opinion, seeking to discover what motivated the mass of the population in the towns and countryside either to take up arms and fight for one side or the other or to attempt to remain neutral and uninvolved. For some historians this is no more than a secondary issue – it may explain how the nation divided once war began, but the war itself was caused by fractures within elites, either the political elite at the centre of state, church and government or the social elites who led the rising middle classes to war against the aristocracy. But for other historians, this is a crucial, even the crucial, issue – no matter how and why the political or social elites may have fallen out amongst themselves, full-scale civil war could have occurred only because of much broader and deeper fractures present within society and the country as a whole. Accordingly, from the 1960s onwards a great deal of research and writing has analysed developments, opinions and divisions in towns, counties, regions or the provinces as a whole during the pre-war decades and on through the civil war itself; while some of this work has tended to focus on urban and rural elites, much of it has sought to cover a broader social span or has specifically addressed questions of non-elite, popular opinion and allegiance. Much recent work has sought to demonstrate that during the pre-war decades those living in the provinces were well aware of developments in church and state, and that, far from being inward looking and concerned solely or largely with local affairs, the people of England and Wales were affected by, and took an informed interest in, the regime’s foreign and domestic policies. This informed interest could be found at many levels of society and was not the exclusive preserve of the small urban or rural elites. Many local historians have gone on to suggest that secular or religious concerns, many of them stemming from or reacting to government policies, were causing tensions and divisions within English and Welsh society during the pre-war decades, real or potential fracture lines which not only explain how and why society quickly divided into different camps once war had broken out but also (some historians contend) form a major plank in causing the civil war itself, in explaining why England and Wales collapsed into war in the early 1640s. For some historians, these fracture lines involved a complex mixture of social, economic and cultural factors, seen in geographical divisions between on the one hand arable and mixed farming areas of often small parishes, with hierarchical and paternalistic communities which stood by traditional religious, cultural and communal life, and on the other hand wood-pasture areas of often large parishes, more fluid and open, individual and distinctive communities which embraced moral and religious change and reformation and new ideas in general. For other historians, the fracture lines in provincial communities were more straightforward, caused principally by religious divergences and conflict between religious traditionalists and increasingly vocal groups of Godly reformers, who came to dominate some communities and whose dissatisfaction with the existing Church of England led them to agitate for further reformation. Indeed, some historians have suggested that religion was the dominant issue which divided the country and thus precipitated civil war at the centre as well as in the provinces. They argue that whatever differences there were over state finance, foreign policy or whatever, only religion was so central to the elite and the non-elite alike, so fundamental to everyone’s lives, that compromise proved impossible and instead not only were key members of the elite driven to seek a physical and military solution in defence of their faith but also their stands struck a chord and received much wider support in many English and Welsh communities, so generating full-scale civil war. Understandably enough, in seeking the causes of the English civil war most historians have focussed on England and Wales, but the wider context has never been entirely ignored. The outbreak of civil war in England clearly followed on from, and was to some extent shaped by, the failed wars against Scotland in 1639 and 1640 and the outbreak of the Irish rebellion in 1641, and many historians have examined the contribution which those Scottish and Irish events made to the outbreak of civil war in England and Wales. Similarly, many historians have noted the wider continental difficulties which the early Stuart monarchs faced – such as pressure to enter European conflicts in support of Protestantism and the very costly failure of Charles I’s foreign policy when he did go to war against Spain and France in the latter half of the 1620s – and they have assigned them a (generally quite minor) role in the sequence of events which led to civil war. From time to time, some historians have gone further down this path. A few have seen the civil war in England and Wales, as well as the wars between England and Scotland and the rebellion in Ireland, as just three manifestations of a much broader general crisis of the middle decades of the seventeenth century, a concentration of revolts, rebellions, civil wars and wars between states which engulfed much of Europe (and parts of the wider world) over this period. They suggest that this concentration of wars and armed instability shared a common cause, perhaps widespread socio-economic tension and class strife caused by climatic downturn, perhaps political tension caused by the centralising aspirations of heads of state, perhaps pressure on government caused by the fiscal and administrative burdens of the expanding military arm of the state. Some historians have accepted and followed this line or argument, though many were and are sceptical that one or more specific causes can lie behind and explain the outbreak of so many different types of conflict in so many differently organised states in so many diverse and widely spread theatres and geographical regions. From a slightly different perspective, during the late 1980s and 1990s many historians took a renewed interest in the British nature of the English civil war, seeing it as one element of the British wars or the wars of the three kingdoms of the period from 1637 to 1651 or beyond. They stress the repeated and intimate inter-connections between the conflicts which broke out in Scotland, Ireland and England and Wales over the years 1637-42 and suggest that they probably had common causes, a British problem or problems. Scotland, Ireland and England and Wales formed a multiple kingdom, each with its own very different and distinctive history and traditions, judicial and administrative mechanisms, religion and society, but from 1603 onwards all were ruled by a single monarch. When that monarch proved to be careless of the rights and the distinctive ways of his component kingdoms and when he brutally attempted to impose religious change and greater religious uniformity throughout his religiously divided inheritance, the result was crisis, collapse and war. 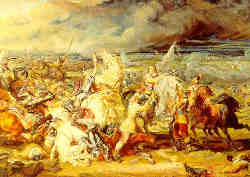 However, some historians have not been wholly convinced by this British line, arguing that although the contributions of Scotland and Ireland undoubtedly help explain the form and timing of the descent into civil war, the outcome in England and Wales was a distinctive English and Welsh war, albeit one with many Scottish and Irish connections, not a single British conflict. Many contend that there must be English causes to the civil war, that internal English and Welsh problems must have been present, and that only deep divisions within England and Wales can explain why civil war broke out there in summer 1642 and raged on for much of the decade. 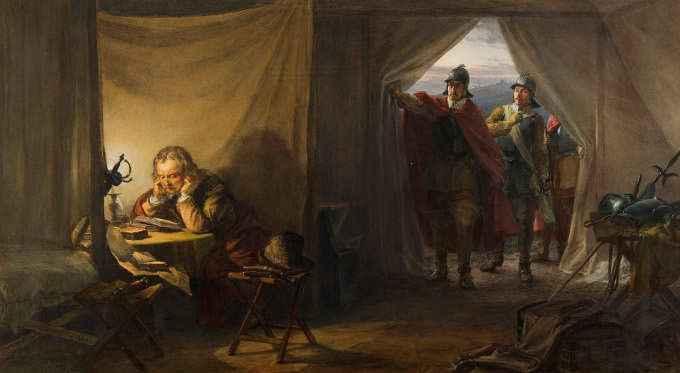 In attempting to weigh up what caused the English civil war, it is important to recognise that the different lines of interpretation and explanation may not be mutually exclusive. It is quite possible that a number of problems and issues came together in triggering the outbreak of war, each of them carrying roughly equal weighting and playing an important part in the breakdown. Similarly, different participants may have been motivated to take up arms and begin a civil war for slightly or very different reasons – the causes of the breakdown at the centre in 1642, which led the political elite of Whitehall and Westminster to resort to arms, may not have been the same as the factors which led provincial communities to divide into warring groups or which motivated large numbers of ordinary people to take up arms. What role did Cromwell play in all of this? How far did he personally contribute to causing the civil war? As Cromwell had played no significant role in central or even local government before 1640 – he had sat in just one parliament, that of 1628-9, in which he was a very minor and insignificant figure, and he had never served as a county JP or held high office – he is largely irrelevant to interpretations of the civil war which emphasise long-term causes. If the civil war is seen as resulting from long-term political, constitutional and religious problems dating back to the sixteenth century or from long-term socio-economic tensions and class strife whose origins may even have pre-dated 1500, Cromwell’s personal role in and contribution to the descent into civil war can be no more than negligible. Cromwell might have a slightly larger role to play in lines of interpretation – such as those advanced by the revisionists in the 1970s and 1980s – which lay greater stress on short-term causes and on political blunders made by both sides in the years preceding 1642, but even if this line is followed, Cromwell’s personal contribution was almost certainly very small. Down to his election to the Short and Long Parliaments in 1640, Cromwell was politically inexperienced and insignificant. He had lost out in a power-struggle in his native Huntingdon at the start of the 1630s and been firmly slapped down, and in the later 1630s he may have spoken out for those seeking compensation from local fen drainers around Ely (though the evidence is far from clear), but overall he does not come across as a political animal and he had never held power or influence in central or local government. Yet during the opening two years of the Long Parliament, 1640-42, Cromwell does stand out as being surprisingly active and prominent within the House. He was certainly not one of the leaders of parliamentary business and events – he was not one of the leading critics of royal government whom Charles tried to arrest in January 1642 – and at times his inexperience and a certain naivety let him down, leading to a number of embarrassing blunders and misdirected failures. But considering his inexperience down to 1640 and his apparent obscurity when he took his seat in the Long Parliament, his record is impressive and somewhat surprising. He was a prominent critic of some aspects of royal government and of the church, frequently he was named to committees and acted as Teller in divisions or as messenger to the House of Lords, and he presented important petitions from individuals or communities. He reportedly helped to draft a Bill aimed at the complete abolition of episcopacy, he moved the second reading of a Bill for annual parliaments (which, modified, eventually became the Triennial Act), and he was prominent in moves for parliament to appoint guardians for the Prince of Wales and for the Earl of Essex to be appointed commander of the militia by Ordinance rather than by Act of Parliament, thereby removing the need to seek and obtain royal assent. In 1641 he urged the prosecution of those allegedly involved in the Army Plots and in 1641-2 he was outspoken in advocating a vigorous, armed response not only to the Irish rebellion but also to other Catholic conspiracies at home and abroad. Historians interpret Cromwell’s prominent and conspicuous role during the opening two years of the Long Parliament in different ways. For some, this is the first sign of Cromwell’s self-made rise from obscurity to fame, arguing that in the wake of his religious conversion at some stage during the 1630s, he had a burning desire to seek reform in church and state alike and, believing that he was doing God’s will, he gained the confidence and energy to drive himself and others forward in pursuit of those goals. For others, Cromwell’s obscurity in 1640 has been over-played and is at least in part illusory, for by then he was allied by marriage, kinship or friendship to a number of far more experienced, important and prominent critics of royal government who sat in the Long Parliament, including John Pym, John Hampden and Oliver St John in the Commons and Bedford, Warwick and Saye and Sele in the Lords. From the early days of the Long Parliament, these alliances gave Cromwell a greater standing and reputation than his own social position or previous political experience would merit. Leading on from this, some historians have suggested that Cromwell was deliberately being used by some or all of these more prominent and experienced politicians, that they were employing Cromwell as their agent to fly kites for them, to give an airing to policies and initiatives which might be pursued if they won sufficient support. In summer 1642, as political fighting gave way to armed preparation for war, Cromwell was certainly one of those members of parliament and of the political elite who firmly supported the parliamentary cause and who were willing to stand up and be counted. In early and mid August 1642, before war had formally been declared by the king, Cromwell returned to his home area and with a troop of newly-raised horse helped to secure Cambridge town and castle and its magazine for parliament. In Cambridge he also prevented part of a consignment of college plate being sent off for the use of the king. Cromwell was by no means the only MP to have taken this sort of physical, armed stance, by no means the only member of the landed elite to have nailed his colours to the mast in this way, but at this stage only a small minority of the more courageous, committed parliamentarians were prepared to act in this manner. 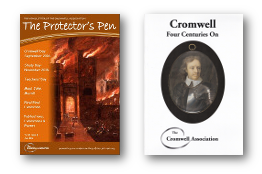 Cromwell’s actions in Cambridge in August 1642 serve as a visible measure of his personal courage and commitment to the cause, but they did not of themselves contribute significantly to causing and starting the English civil war. Whatever line we take on that hotly disputed and unresolved historical controversy, Cromwell’s personal role, stance and actions played at most only the most minor part in the problems and tensions, in the developments and sequence of events, which caused the English civil war.